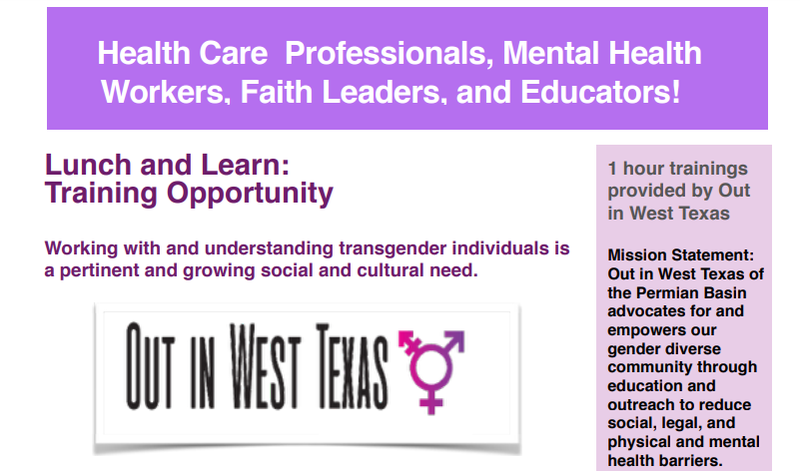 Contact Out in West Texas to schedule a lunch and learn or training to provide your group with the professional competencies, including discipline-based, appropriate terminology, speciﬁc knowledge and afﬁrming practices for working with transgender individuals. Give your group the information and training needed to respond appropriately to transgender folks and their families. Trainings are led by experts in mental health and gender studies.